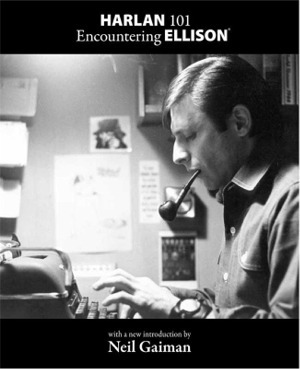 Designed as both an introduction to Harlan Ellison’s vast body of work and as a manual for would-be writers, Harlan 101 collects the best of the author’s short fiction, seven essays on the craft of writing, and a collection of rarely seen oddities from Ellison’s extensive archives. A new introduction by New York Times bestseller Neil Gaiman, author of the Hugo Award-winning novels American Gods and The Graveyard Book, and creator of Vertigo Comics’Sandman series. “Snake in the Crypt”—The never-before-republished story that Ellison rewrote to become “The Deathbird.” See how this average tale was re-worked into a Hugo Award-winning novelette. The lost ending to “Paladin of the Lost Hour”—This ending only appeared in the very first publication of the short story in the 1985 anthology Universe 15; it has never been reprinted. Seven informative, yet entertaining essays on the craft of writing (four which have never appeared in an Ellison collection).